Immaculate 3 Bdr 2.25 Ba home sited on a bright sunny lot in the heart of Bridle Trails. So much to love here. Gorgeous chef's kitchen. Grand living room w/vaulted ceilings. Beautiful dining room with cozy gas fireplace plus home has central AC. Sun lit rooms, tree lined views and each bedroom features it's own bath. Fully fenced yard with patio and studio/outbuilding. Walk across the street to 480 acre Bridle Trails State Park & enjoy 28 miles of trails. 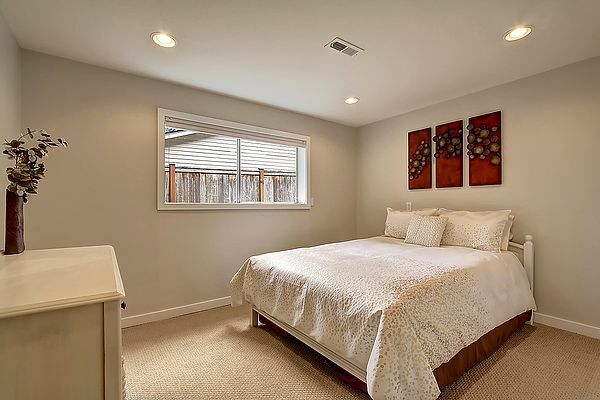 Close to award winning schools, shops, Google, Microsoft, playfields, + EZ access to i-405 and 520.